Look past the noise that surrounded Scotland’s independence referendum, which ended in a victory for those who favored remaining united with Britain. Push to a side the arguments over currency, the doubts over North Sea oil, the hand-wringing about underwater nukes and the fiddling with flags. Consider, instead, what was at the heart of the “Yes” campaign’s message: a rejection of distant political elites in London whose interests seemed to diverge from those of Scots hundreds of miles north. As WorldViews discussed here, the “Yes” camp viewed the prospect of an independent Scotland as a departure from conservative British rule and a shift toward a smaller, better social democracy. Scotland may not be a sovereign state, but it has already started a conversation about governance and the devolution of power in Britain that may still reshape the country. Moreover, Scotland’s referendum has added momentum to separatist causes elsewhere. In Catalonia, a northeastern Spanish region, a galvanized independence movement is preparing for its own referendum in November, despite dogged opposition from Madrid. Scotland’s vote — the product of a peaceful, democratic process that was negotiated between Scottish Parliament and Westminster without any outside intervention — is a positive example for Catalonia, but opens a can of worms for Spain, where other regions, particularly the Basque Country, may seek to secede, as well. The larger issue underlying secessionist movements around the world is that of self-determination. It’s a principle that has been sacrosanct in international politics for over a century, yet is inescapably slippery. Where does one people’s right to self-determination end and another’s begin? How do you safeguard the interests of all in a territory where only some champion freedom? There is no accepted U.N. process to recognize the “self-determination” of a people. But the new wave of secession bids, with Scotland at the forefront, opens up the question once more. In Scotland’s case, a sense of political frustration drove its independence bid as much as — possibly even more than — traditional, narrow ethnic nationalism. To vote in the Scottish referendum, you didn’t have to be a Scot or even a British citizen, but just a registered resident of Scotland. 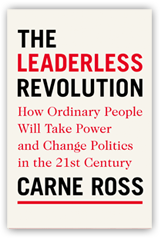 A similar voting scheme, says Ross, is planned for Catalonia’s referendum. “The idea that certain races have rights to territory is a very antiquated idea. That’s what caused Europe so much trouble in the 20th century,” says Ross. Instead, both Catalonia and Scotland’s pro-independence campaigners have championed independent nations that would be cosmopolitan and active players in the wider European community. 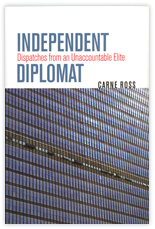 Ross is executive director of Independent Diplomat, a New York-based diplomatic advisory group that, among various activities, offers consulting services to a number of secessionist movements around the world. Ross worked with both the fledgling states of Kosovo and South Sudan before their independence. “We need accepted criteria for what is acceptable ‘self-determination,'” says Ross. The common criticism leveled at many separatist movements is that they’re unnecessarily destabilizing and the product of opportunistic separatist leaders. But Ross believes Scotland’s process toward its referendum provides a good roadmap — unlike, say, Russia’s annexation of Crimea earlier this year or its continued meddling in eastern Ukraine. Scotland’s independence referendum “was democratic, peaceful, reached through open dialogue and there was no involvement of an outside power,” he says. Scotland opted to remain united to Britain, but its independence bid may set the tone for other similar struggles for many years to come..